Buying a new car isn’t always the best decision. The moment that it is driven off the lot it will lose 11% of its value and it will also lose at least another 10% of that value by the end of the first year. This rapid depreciation makes little financial sense for most people. This is why buying used is such a great option to have: if a person can find a trusted dealership they will be able to find a practically brand new vehicle that fits their needs for a price they can afford. Sometimes people have reservations about buying used cars though. We have all heard the horror stories of a person buying a car for it to just break down weeks later. 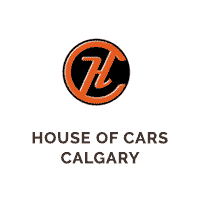 This makes no financial sense and at House of Cars Calgary we believe that buying used should not feel like a gamble. This is why we offer peace of mind by selling only certified used cars that come with CARPROOF and a thorough mechanical fitness inspection. This Canadian company offers history and valuation reports on vehicles. This is important because vehicles in Canada can suffer a range of defects that are invisible to the naked eye. Consider flooding for example: many cars will flood each year resulting in serious defects to the body that are otherwise unseen. This could lead to problems further down the line without the car’s owner expecting it. When a person sees that a car is verified by CARPROOF, though, they know that they are playing it safe and can trust in the quality of the vehicle. A CARPROOF report will cover things like accident history, unfixed safety recalls, import and export data, branding information and much more. Basically it’s a comprehensive overview of the car that you are looking to purchase. This means that you’re not going into your purchase blind but with a total overview of your new vehicle. We offer this service to put your mind at ease because we believe that our customers should be comfortable and confident in their choice of certified used cars. As well as CARPROOF all of our vehicles also come with a full mechanical fitness inspection. This adds an extra layer of protection and represents our commitment to offering only the best to our customers. This inspection will verify that the CARPROOF report is correct and that we are offering high-quality vehicles that you can trust in. All too often the sale of a used vehicle is not covered by warranty. At House of Cars we offer comprehensive warranty to all of our customers so they can be confident and happy with their new vehicle rather than bracing themselves for disaster. Shop with confidence: if you are looking for a quality certified used car be sure to give us a call today or search through our inventory using our simple online tool.